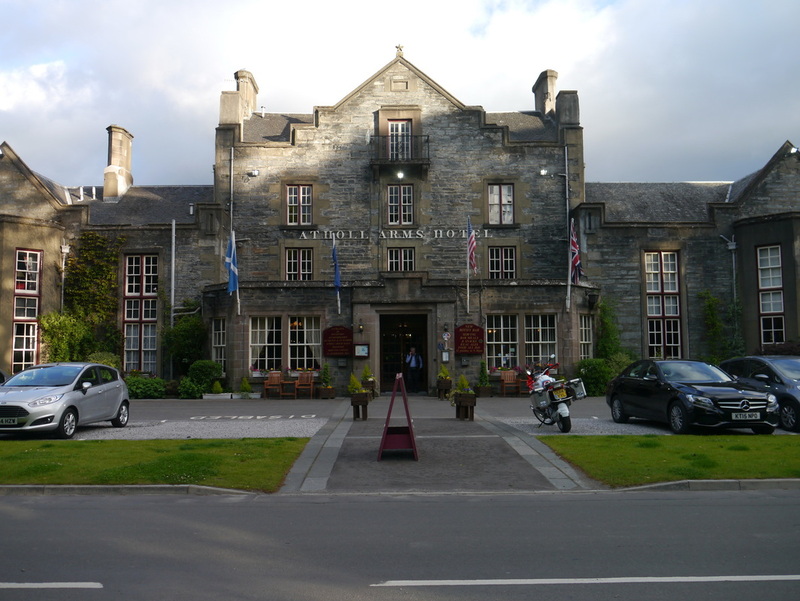 Nothing in Blair Atholl - the distillery of a similar name Blair Athol is in Pitlochry 7 miles away - on the main road through town and Edradour a further 3 miles away. Pitlochry also has a well established Whisky retailer, Robertsons, and more recently acquired a Royal Mile Whiskies' Drinkmonger shop. Blair Atholl is dominated by the enormous stately home, Blair Castle - the last castle in Britain to be besieged (1746). 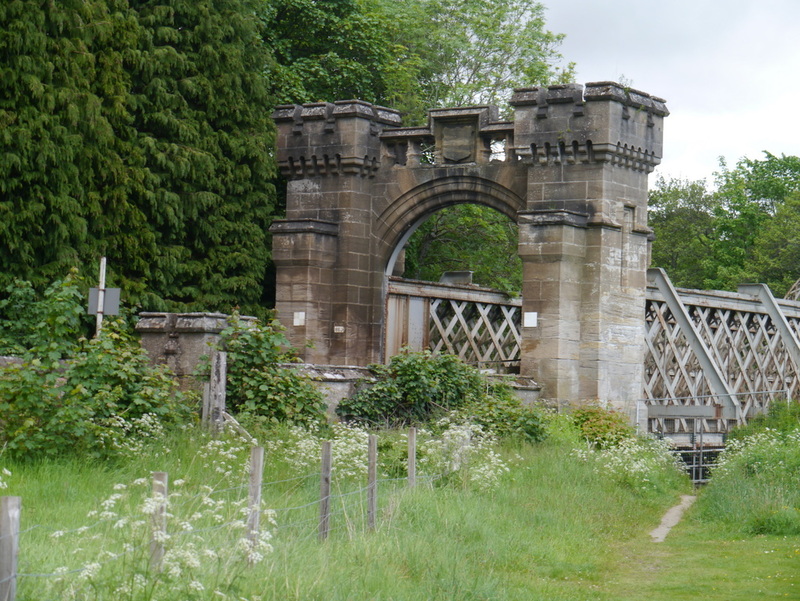 The village of Bridge of Tilt is regarded as part of Blair Atholl - only separated from it by the eponymous bridge, which was built in 1822. The smaller villages of Old Bridge of Tilt and Old Blair lie on the old route a mile north. Other than the castle itself, Bridge of Tilt is the larger settlement. Level access from Car park to Platform 1. Ramp to Ford Road from Platform 2 - by the level crossing at the Southern end of the station (so if you need to use it, make sure you get there in good time before the barriers shut) - this entrance though shown on the station plan is not clearly signposted on Platform 2. No ticket office or ticket machine. 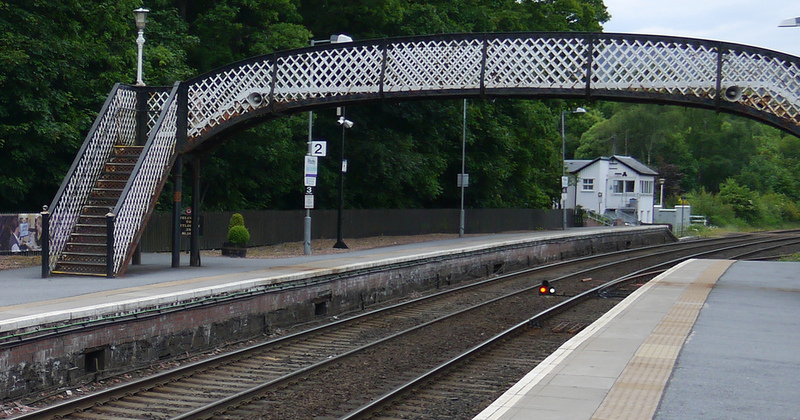 Pitlochry (7 miles away) has a more frequent train service than Blair Atholl: Pitlochry (PIT) - Live Train Times: PIT. 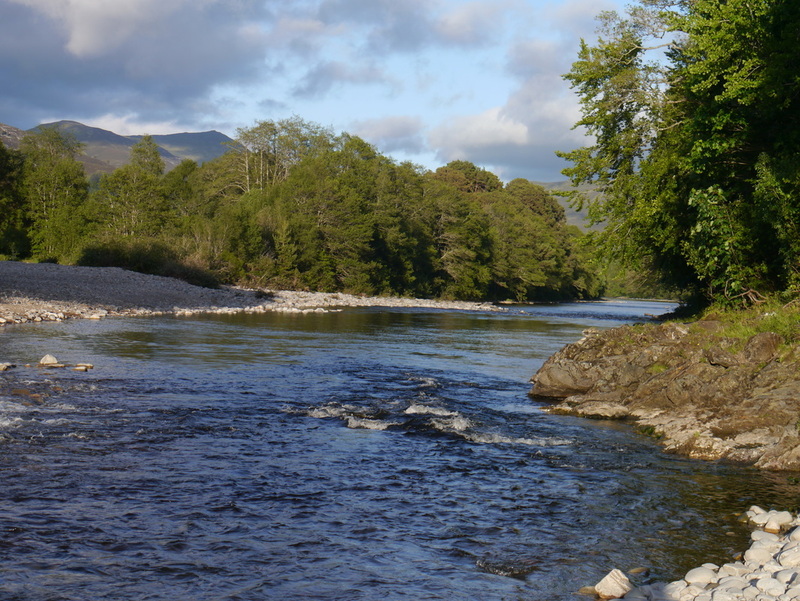 Blair Atholl is on Cycle Route 7. Sister hotel to the Moulin Hotel, similar menu. House specialty is Angus Claymore - chunks of prime steak﻿﻿ served on a sword! Unfortunately it wasn't available on my visit. Food is good, though menu limited, and a little pricey. Bottled ales and a few malt whiskies available. Sister hotel to the Moulin Hotel, so the Moulin range of beers brewed there is available. Smaller range of malt whiskies than at the Moulin, but still around 30 available. Premier (Blair Atholl),with external Free ATM and Spar (Bridge of Tilt).